During 2016-2017, the Arctic sea ice, overall, has been hammered by far warmer than normal temperatures. The result has been continued record low Arctic sea ice volume and record low or near record low extent throughout the present period stretching from October of 2016 to late June of 2017. 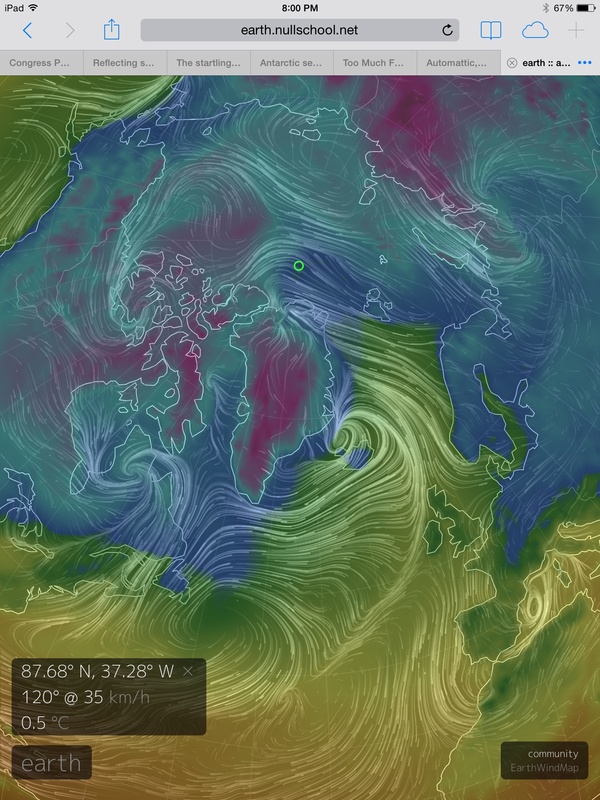 Now, the development of a pool of warm water in the Beaufort Sea even as a strengthening ridge is poised to inject more heat into this key region threatens to increase sea ice melt pressure as we enter mid-summer. Cooler than normal temperatures in the High Arctic during May and near average temperatures over the Arctic Ocean during June resulted in somewhat less less late spring and early summer melt than some had feared. 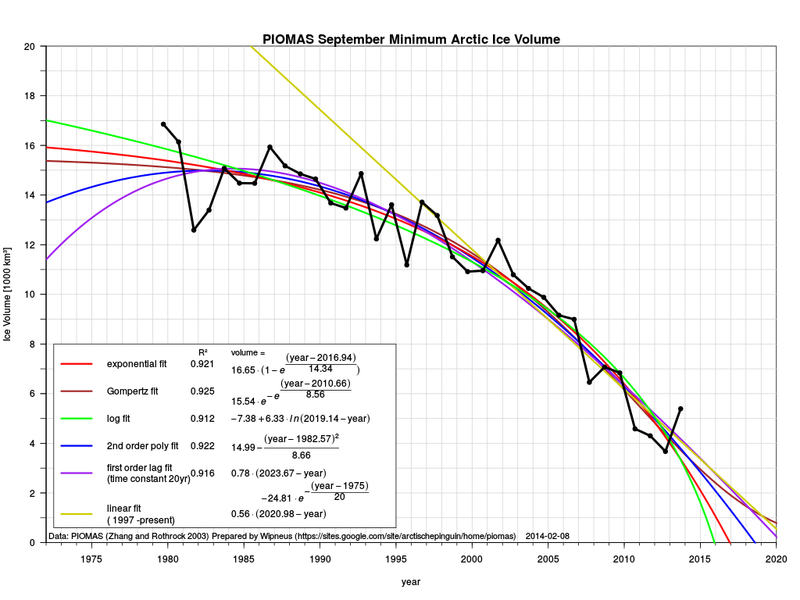 This counter-trend cooling has set up conditions where sea ice measures in both volume and extent have bounced closer to the 2012 line with PIOMAS departures remaining in record low ranges and JAXA and NSIDC extent measures tracking near second or third lowest on record. 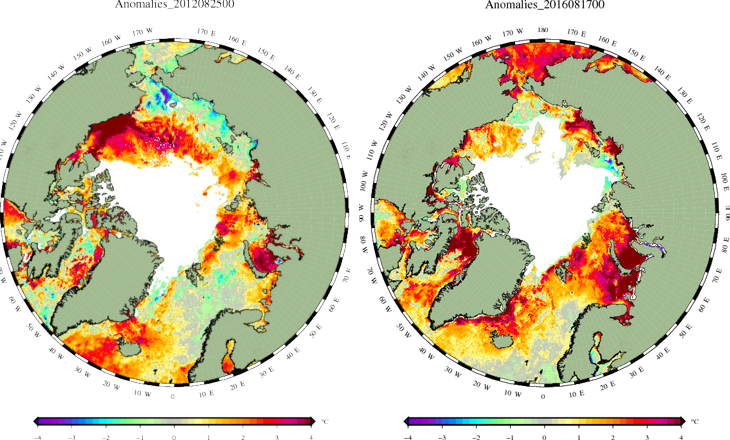 But despite a brief May respite from the most extreme heat of human-forced climate change, the Arctic sea ice remains very fragile and any added warmth at this time from either the ocean, the atmosphere or both can have an out-sized impact on end melt season totals. 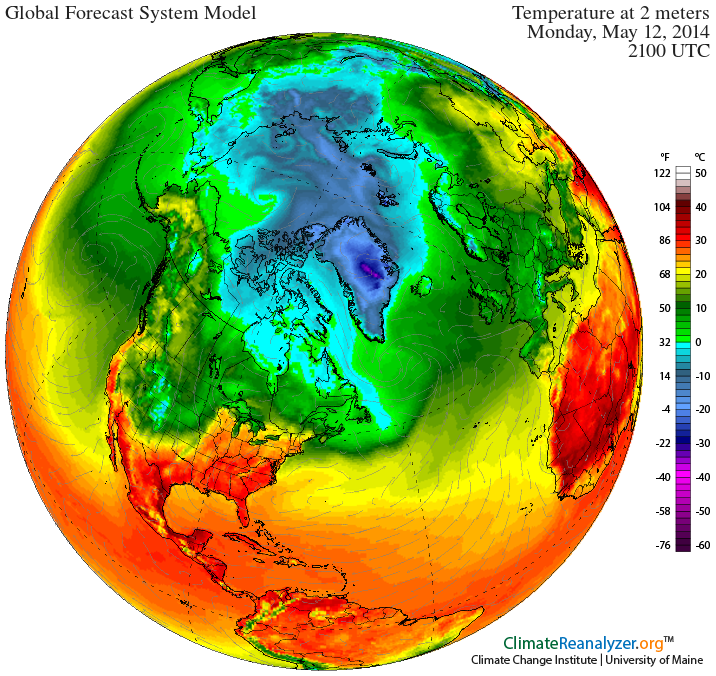 Moving into Arctic mid-summer, primary factors of concern include both land and ocean surface temperatures as well as the potential development of various weather features harmful to sea ice. Trough development on the Russian side with ridge development over the Beaufort region is generally viewed as harmful — forming warm surface waters that can considerably erode old ice in the Beaufort and near the Canadian Archipelago, while generating a dipole temperature and pressure feature that produces winds which tend to enhance sea ice export through the Fram Strait. Throughout June, this form of dipole has tended to emerge — with weak highs forming consistently over the Beaufort and with moderate-to-strong lows gathering on the Russian side centering on the Laptev Sea, but ranging into the Kara, East Siberian Sea, and on into the Central Arctic. This persistent dipole has also aided in the production of warm surface waters in both the Beaufort Sea and in the Chukchi. Sea surface temperatures in this region have already formed into a considerable warm pool with anomalies ranging from 2-5 degrees Celsius above average over an expanding region. During the coming days, a ridge extending over Northern Canada is predicted to drag a surge of warm air across both the Canadian Archipelago and the Beaufort Sea. Over-ocean temperatures in the Beaufort are expected to considerably vary above the norm — hitting as high as 48.6 degrees Fahrenheit (9.2 C) in some regions. An over-ocean value that is around 7-9 C above average for this time of year. Since oceans tend to moderate both summer heat and winter cold, these are considerable local extremes. And in conjunction with a developing warm pool of ocean surface waters, such above average atmospheric readings represent a melt hazard to sea ice in the critical Beaufort basin and in adjacent regions. 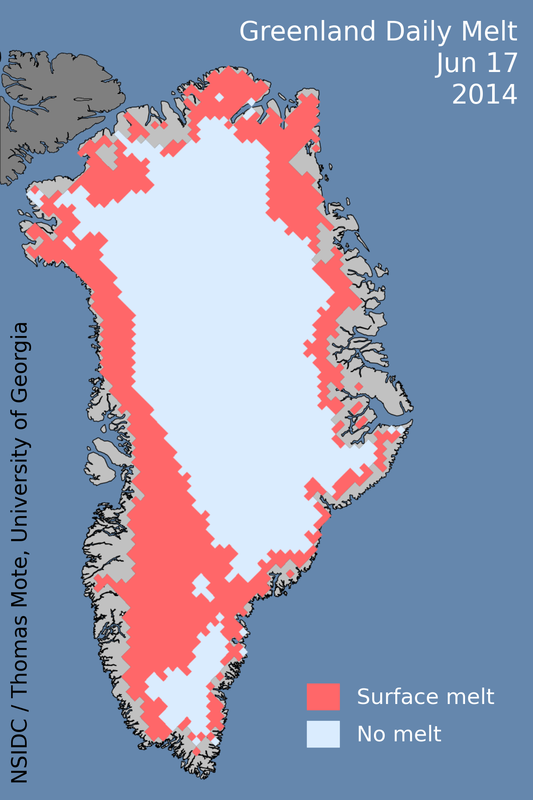 Ice in the Canadian Archipelago will also come under melt stress in the event that such a forecast trend develops. Meanwhile, the greatly reduced subset of multi-year ice floating just to the north of the Archipelago will also be subject to the warm air injected by the ridge as well as to the warming of nearby surface waters. 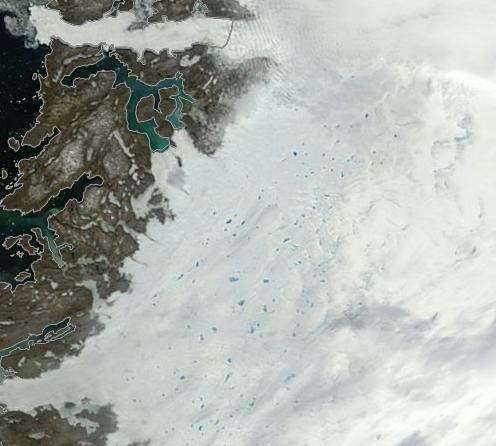 During 2012, the persistent development of a warm water pool in the Beaufort contributed to record low sea ice readings by late summer. 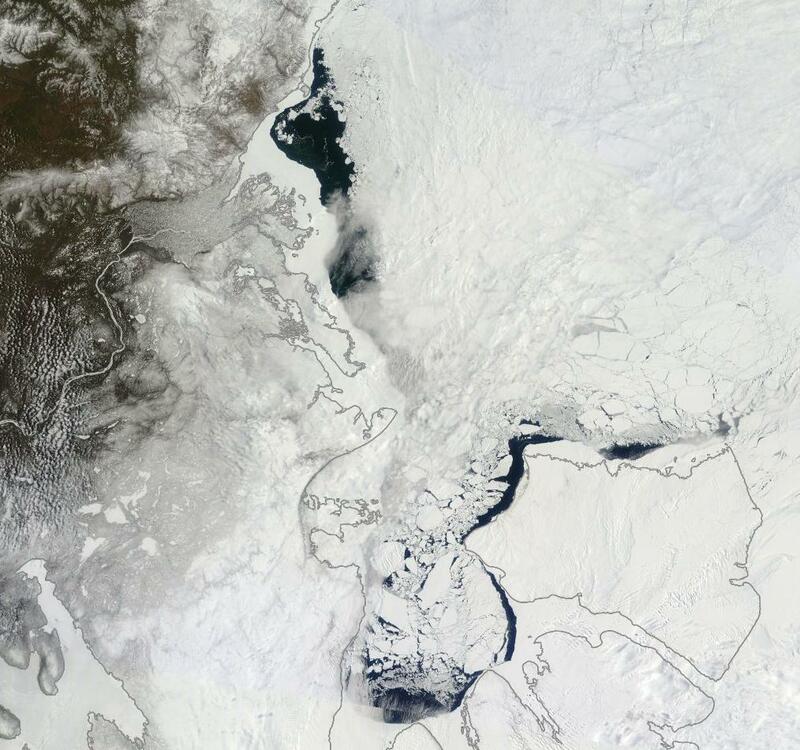 This warm pool ate away at the ice edge, wrecking the multi-year ice even as it was eventually thrust into the Central Arctic by a powerful storm emerging over the East Siberian Sea during August. Similar warm pool formation at this time and continuing through July is cause for some concern, which is why a nascent warm pool development during late June is worth continued monitoring. “In West Antarctica, we have a tug-of-war going on between the influence of El Niños and the westerly winds, and it looks like the El Niños are winning. It’s a pattern that is emerging. And because we expect stronger, more frequent El Niños in the future with a warming climate, we can expect more major surface melt events in West Antarctica (emphasis added).” — David Bromwhich, co-author of a recent study identifying massive summer surface melt in West Antarctica during 2016. If you’re concerned about human-caused global warming, then you should also be concerned about ice. In particular — how warming might melt a miles-high pile of the frozen stuff covering the massive continent of Antarctica. During recent years, scientists have become more and more worried as they’ve observed warming oceans eating away at the undersides of floating ice sheets. 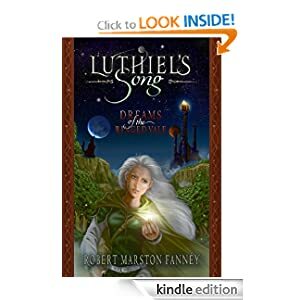 This particular process threatens numerous cities and coastal regions with swiftening sea level rise as ice margins melt and glaciers the size of mountain ranges clamor for release into the world’s oceans. But another potential process in a still warmer world threatens to compound the impact of the heating waters that are already melting so many of the world’s glaciers from the bottom up — large scale surface melt. During January of 2016, as a very strong El Nino was combining with human-caused global warming to spike atmospheric temperatures to 1.2 C above 1880s levels, something pretty strange and concerning happened. Over the course of about 15 days, a 300,000 square mile section of the Ross Ice Shelf surface and nearby lands over West Antarctica experienced melting. 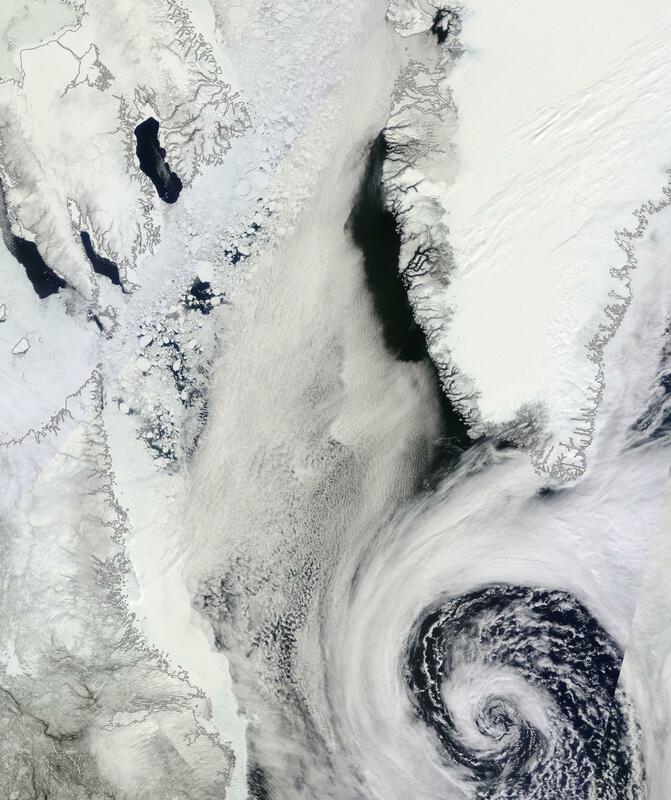 This mass slushing across Antarctica’s surface occurred as a warm storm swept in from the Southern Ocean (see image above) to deliver an unheard of rainfall event to the region. 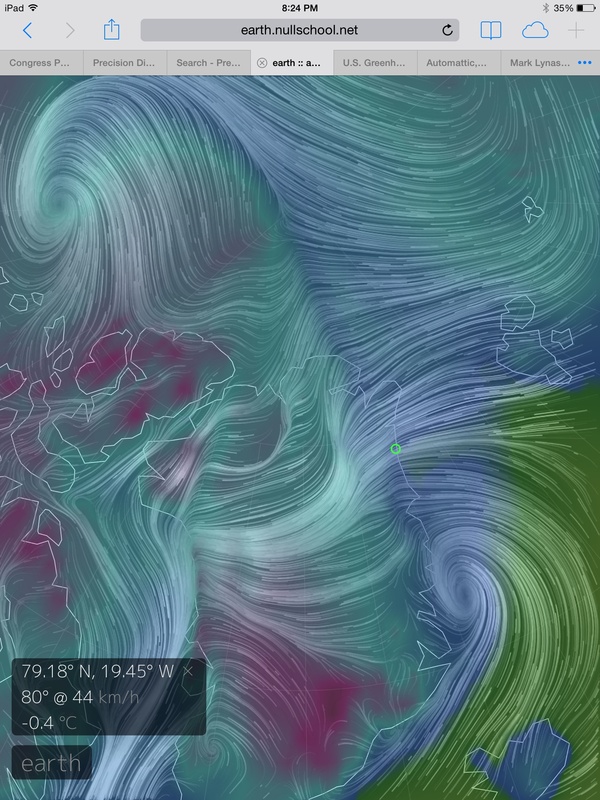 West Antarctica is typically too cold for such weather. It is also often too dry. 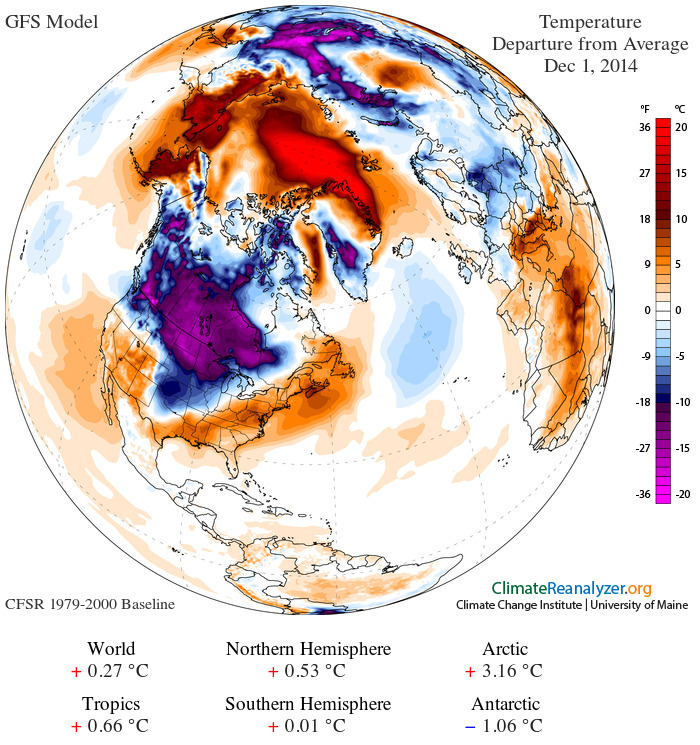 The region is well know by climate researchers as a frozen desert. But as human-forced climate change has warmed the nearby ocean, warm, moist winds blowing in from these heating waters have become more frequent. 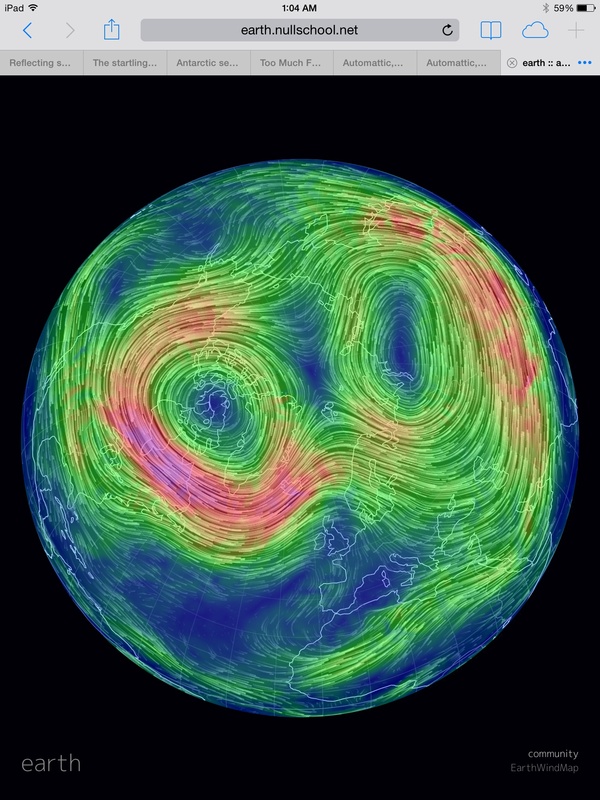 Antarctica is typically protected by strong westerly winds that keep both heat and moisture out. But a warming ocean environment, according to Ohio State researchers, is enabling El Nino to interrupt these westerlies and hurl increasing volumes of heat and moisture over the glaciers of Antarctica. In 2016, countervailing winds pushing against the typically prevailing westerlies bore with them an odd rainstorm that set off a massive surface melt event. It’s worth noting that this particular storm, though unusual and noteworthy, did not produce too much in the way of surface melt ponding. 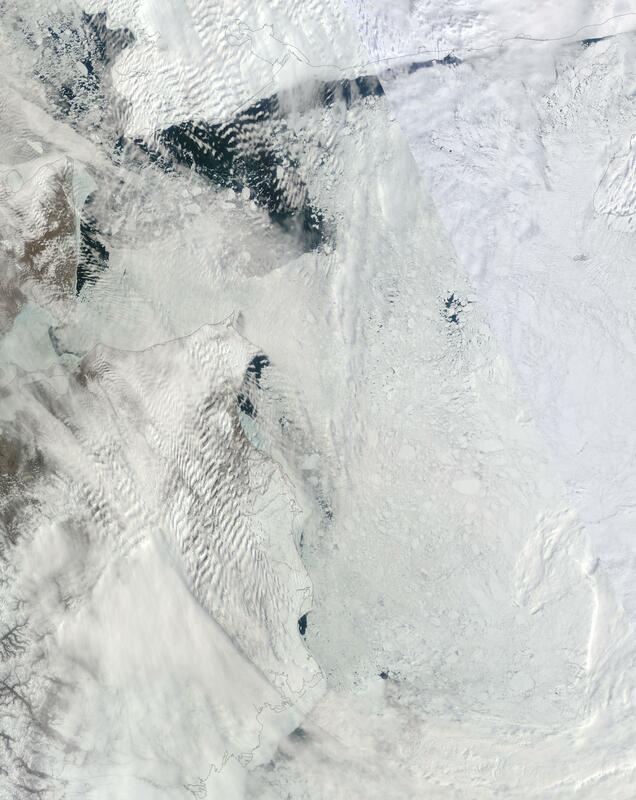 Instead, the storm turned a large section of the Antarctic surface to a slurpee-like slush. 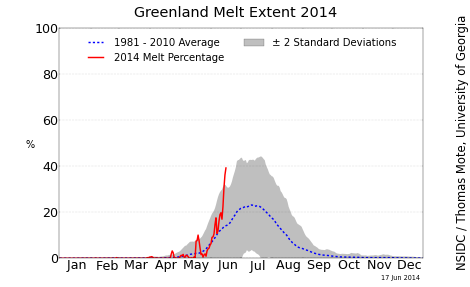 But this event did deliver a considerable amount of heat to the Ross Ice Shelf region. And repeated instances could serve to seriously soften this massive ice formation. Eventually, as warming worsens, significant surface melt and flooding could help to shatter large buttressing ice shelves like Ross or even generate risks of surface glacial outburst flooding in instances where permanent surface melt lakes form behind an ice dam. But the primary concern at this time is that these warm rain events provide a compounding melt influence that adds to risks for more rapid sea level rise this Century.